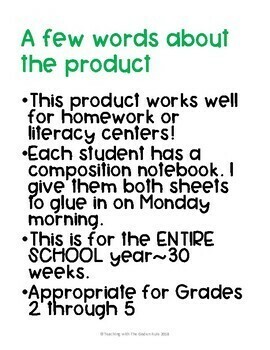 Word Study Bundle All Year! 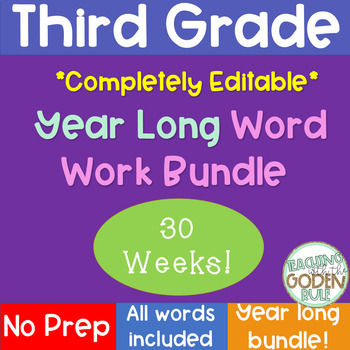 Check out this year long word study bundle! 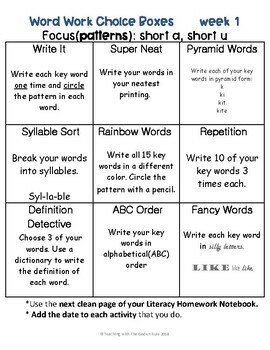 Teaching word families can be daunting but implementing word study into your literacy block is pivotal for improving reading and writing abilities! 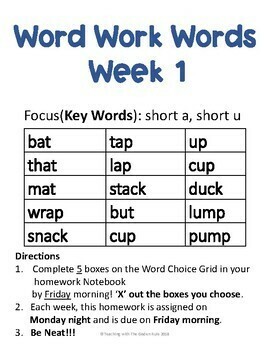 Take the stress out of your word study planning with this year long bundle which includes word lists & word families for all 30 weeks of school! No prep!! The choice board includes word study activities such as syllable sorts, alphabetical order & dictionary lookup.